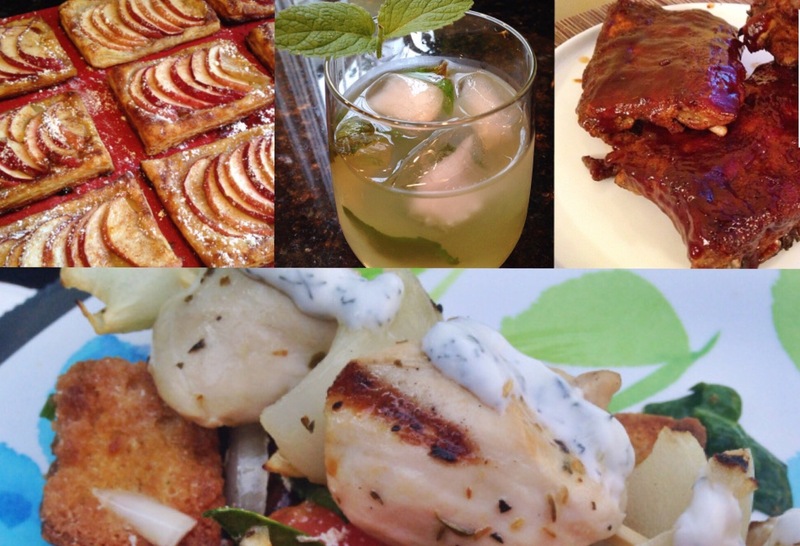 If you’re in need of a last minute menu for Memorial Day, I’ve got you covered with four delicious and impressive dishes! They’re not your ordinary dogs and burgers, but my chicken kabobs and BBQ ribs will knock your guests’ socks off! 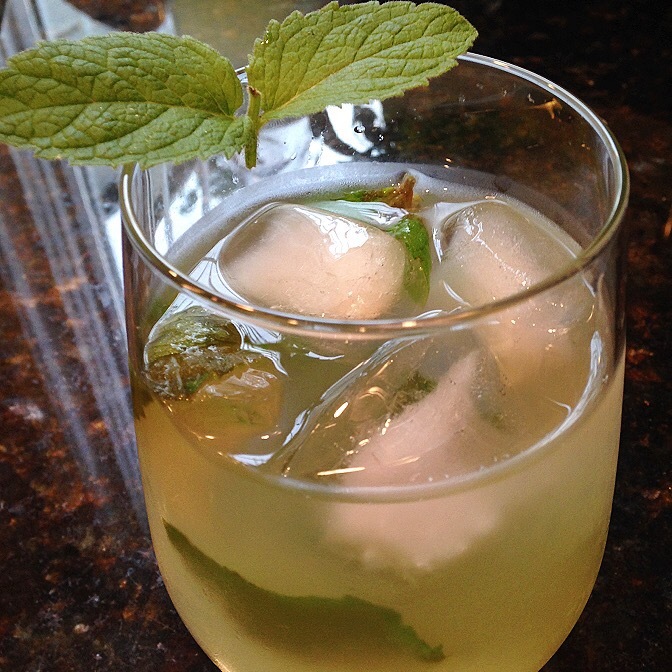 Enjoy a refreshing mint lemonade and later indulge in delicious apple tarts. For a larger spread, throw a fruit salad together with some veggie trays and you will have an incredible BBQ menu. These kabobs have a delicious, light flavor that is complimented by a fresh tasting dill sauce. 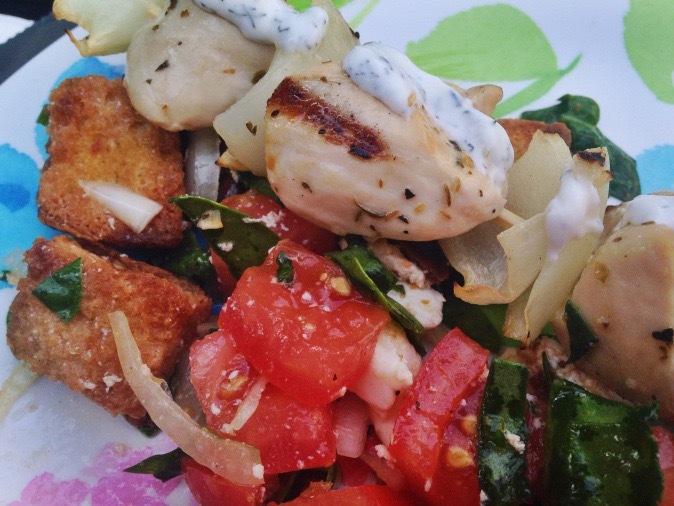 Pair with some pita (or pita chips!) and hummus. 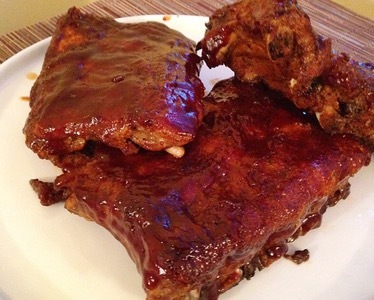 My own take on my mamma’s delicious baby back ribs! These are cooked mostly in the oven, and you can either finish them off on the grill or back in the oven. We are talking finger licking good! What picnic is complete without lemonade? This homemade version is easy and delicious. Spice it up with some vodka or gin for the adult partygoers. A party is no party without dessert, and what could be more American than apples? 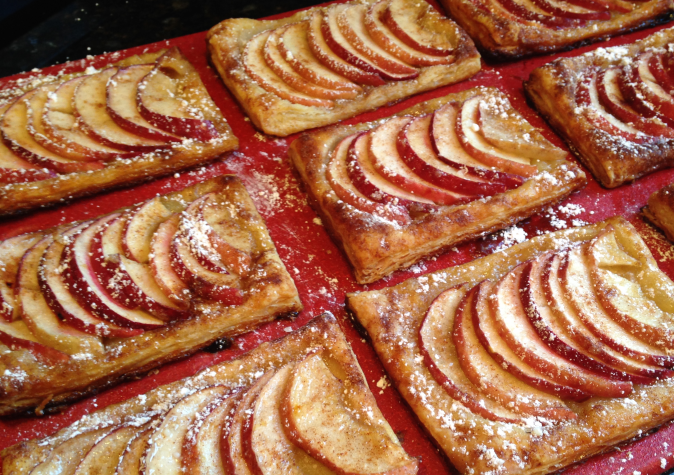 These apple tarts are gorgeous – your guests will be seriously impressed with your baking skills. But the secret is they’re easy thanks to puff pastry. Before you dig in, let’s all make sure to take a few moments to remember what this holiday is really about – remembrance and celebration of those who gave their lives for this country. Thank you to those who have given their lives, and to their families, who have endured great loss on our behalf. Looking for more great recipes? Visit Lawyer in the Kitchen’s recipe gallery!